An IRS report found a program assigning debt to private collectors loses money. The IRS spent $20 million on private debt collectors who ultimately collected just $6.7 million, according to a report from the Taxpayer Advocate, the agency’s in-house watchdog. (Mark Lennihan/AP) In this Jan. 10, 2017 file photo, a 1040 tax form appears on display in New York. 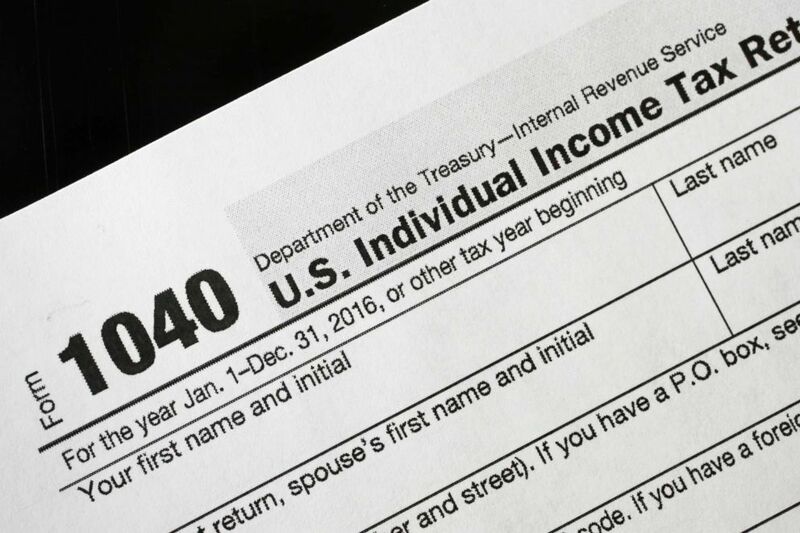 An evaluation of about 4,100 taxpayers who made payments to the IRS showed that half of all those who had to pay their debt back made $41,000 or less annually and that nearly one in every five were living below the poverty line. The report also found that the debts assigned to private collectors included a number of people receiving Social Security Disability Insurance, despite the IRS’ previously agreeing to exclude disability recipients’ debts from private collection. The IRS had assigned over $900 million in debt to private collection agencies but ultimately collected less than 1 percent of the total debt assigned, which was not enough to even cover the cost of the program. The problem is one that the IRS took on despite criticizing it before implementation. Congress passed legislation in 2015 requiring the IRS to hire private collectors for certain kinds of debts, including those belonging to low-income earners. The same IRS agency that authored the report had warned, however, that the program would be inconsistent with the law and disproportionately target people who already suffered economic hardship. In practice, this translated to the IRS’ spending money to chase the debt of people who could not afford to pay back their debts. Taxpayer returns showed that nearly half of all those surveyed did not make enough to cover the payments assigned by collection agencies. Congress has been working on a legislative remedy, with the House unanimously passing legislation in April that included a provision banning the IRS from turning over low-income people’s debts to private firms. A similar Senate bill introduced this month does not change the rule banning low-income earners’ debts from being turned over to private collectors. Testifying before the Senate Thursday, the IRS' National Taxpayer Advocate Nina Olson said the IRS does not want to do this but only does so because of Congress' mandate. "If you are levying on someone with an economic hardship, you have to stop levying on them," Olson said. "What I’ve said to the IRS is try to proactively screen out these taxpayers … certainly in private debt collectors, they shouldn’t even go over there." The IRS did not immediately respond to ABC News' request for comment.